White Birch Trees and the colors of autumn make for a perfect visual combination, especially when reflected off of a calm water surface as shown here on Echo Lake in Dexter, Maine. 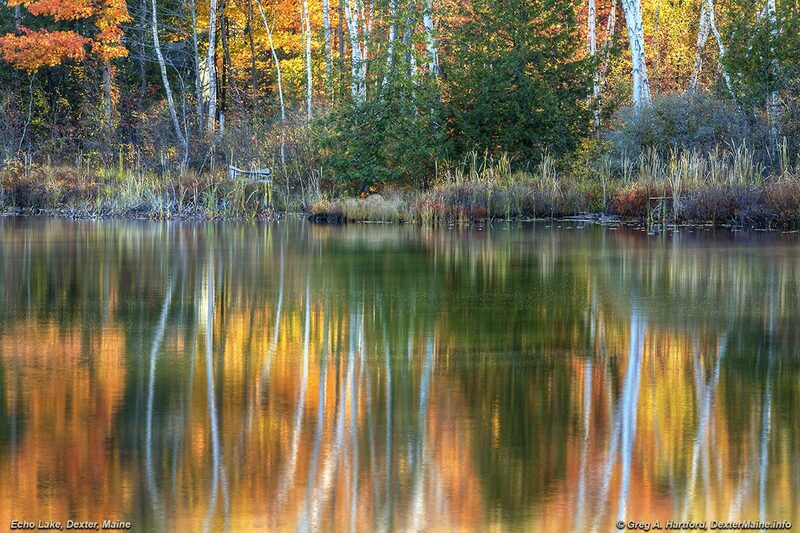 This is a small lake that easily conveys a sense of intimacy with nature and the Maine landscape. Scenes like this soothe the soul and heal past things.